WWI Profile: Craven Ledrew Sellers 1889-1960 | Friends of Fort Caswell Rifle Range, Inc.
Craven Ledrew Sellers was born and raised in Brunswick County, NC. His brother, Herbert Teller Sellers, also served in WWI. His Draft Registration shows he was single, living in Supply, and working as a logging foreman for Waccamaw Shingle Company in Bolivia, NC. Ledrew was ordered to report for duty on May 27, 1918 [Source: Ancestry]. He was sent to Camp Jackson, SC, for training and then to Camp Sevier in June when he was assigned to Co I, 324th Infantry, 81st “Wildcat” Division. The 175 kilometer hike from the front to this training area in the vicinity of Chatillon-Sur-Seine will always stand out as one of the greatest feats of our overseas experience. It was a test of physical endurance and morale. 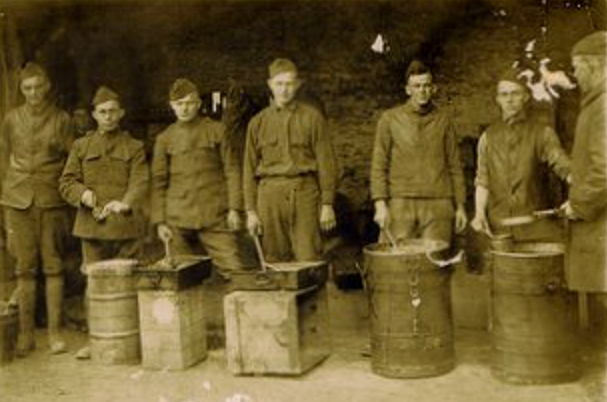 Their handicaps included the weakened condition of the men due to exposure and hardships on the front, epidemics of dysentery and bad colds of which 75% fell victim, and the bad conditions in which the men marched and slept. That Thanksgiving will be remembered mostly for what we didn’t have and didn’t do in contrast to what we had had and had done on previous Thanksgivings. At the end of the fifteen days of hard marching, they passed in review at attention with full packs and complete equipment. Aching backs and blistered feet made it hell for us. Those of us who finished this hike together felt more closely bound together than ever after by those ties of comradeship that had been established on those days at the front. We also felt that we had something in common with the soldiers of past wars who had made long marches under trying conditions. They spent 5 1/2 months in the French villages near Chatillon-Sur-Seine. There was little incentive for training. After Christmas, a more lenient schedule was set with occasional short hikes. Most of the French peasants opened their homes and their hearts to us, and showed us a hospitality as genuine and unselfish as our own American homes could have shown the soldiers of any army. The French were keenly appreciative and profoundly thankful for the valuable services of the American soldiers. Many of them sacrificed and toiled day and night for American soldiers in grateful recognition of America’s timely aid in the World War. But the hospitality of the French could not satisfy that longing for home and friends left behind. We were obsessed with the sole thought of going home. The introduction of athletics and other activities helped keep them busy and distracted from their homesickness. Football, baseball, basketball, wrestling, theater, and shooting contests were enthusiastically attended by all. They were proud of their Division’s champions. 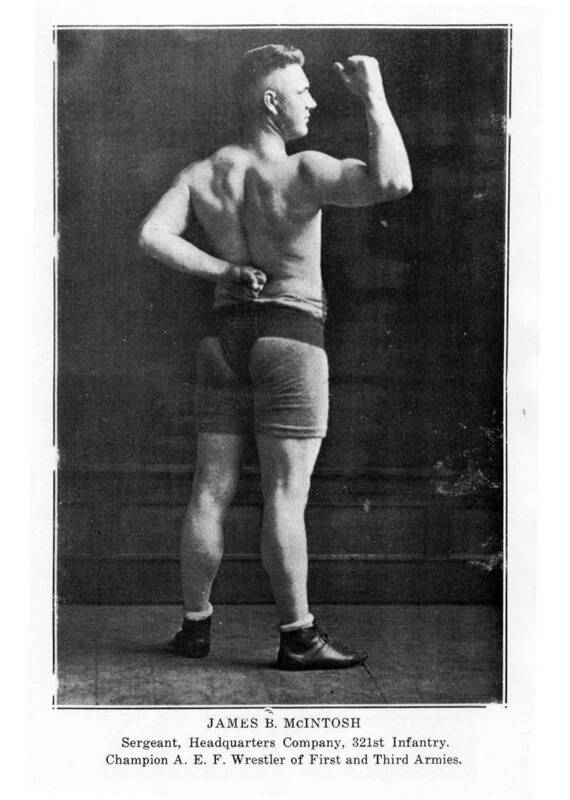 Besides the wrestler shown here, their baseball team was the best in the Army, having never lost a game either in the States or overseas. Their play, “O.U. Wildcats” was said to be the most popular in the AEF. It depicted the life of a Doughboy in France. The most popular song was called “The Bloody War.” Some of the verses are copied below. My head was made of wood. And never hit a thing. And he fired his gun at me. Were all that I could see. I’ll send my darling wife. On March 18, 1919, Private Sellers was promoted to Mechanic. The orders they were waiting for finally arrived: Prepare to move to the Le Mans area on May 12. They were surprised at their feelings when preparing to leave the French villages they had grown fond of. Some of them [French villagers], when we told them good-bye, wept as if they were bidding farewell to their sons. At St. Nazaire, France, where they would embark to return home, they spent four days delousing, bathing, undergoing medical inspections, and fitted with new clothes. They would have more delousing and inspections when arriving in the US. When being discharged from service, they once again underwent strong emotions. They realized that they would probably never see each other again. Strong friendships had been formed – the one thing that had saved many a soldier from despair, and perhaps suicide. Mechanic Ledrew Sellers didn’t return with his unit. 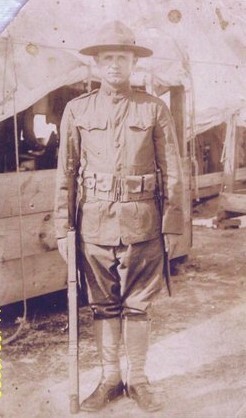 He boarded USS Antigone at St. Aignane a month earlier on May 17, 1919, along with other ill soldiers [Source: Ancestry]. The assumption is he fell ill during the six months after the Armistice was signed, as his name does not appear on wounded lists during combat which were published at the time. He was honorably discharged on June 1, 1919 with no reported disability. After the war, he lived in Southport for many years, raising his family and working first as the manager of a sawmill and then a merchant. During the Depression, he was able to get a job at the Civilian Conservation Corps, supervising a forestry group. At his death in 1960, Craven Ledrew Sellers was laid to rest in the Northwood Cemetery in Southport. A military flat marker is shown. In 2007, his daughter, Susie Carson, along with Larry Maisel, wrote a book about her mother Lelia Jane, published by the Southport Historical Society (ISBN: 978-1-892444-15-8). 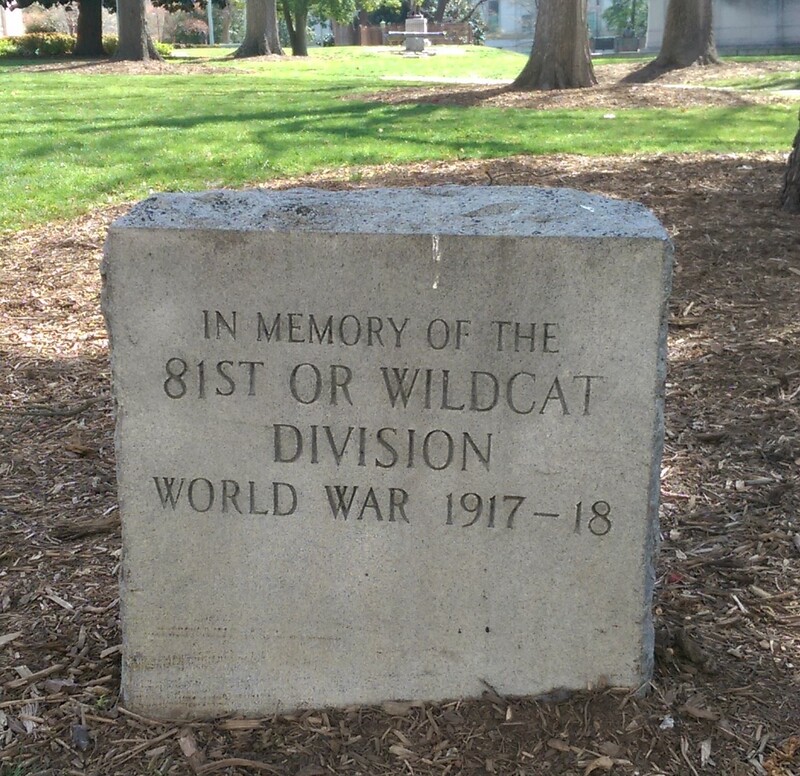 This concludes the Brunswick County WWI veterans who were wounded or killed while serving in the 81st “Wildcat” Division. In all, the “Wildcat” division suffered 1,104 casualties–248 killed or dead from wounds and 856 wounded–for the short time it was in combat.